A new Emergency Health Services Mobile Simulation will be a training resource for rural health professionals. The province showed off a new mobile simulator today that will help train emergency workers in small and rural communities. 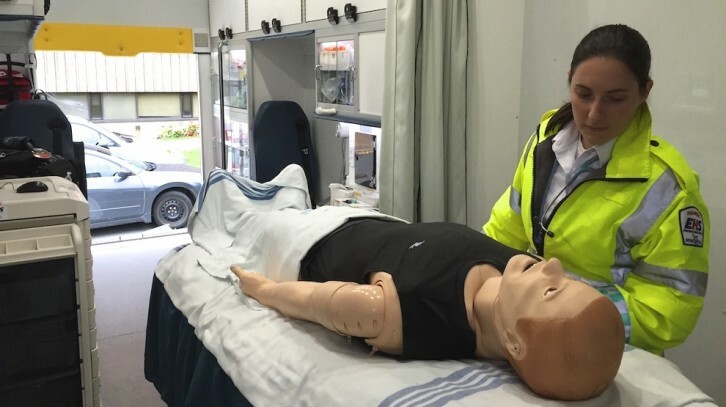 The Emergency Health Services Mobile Simulation is the first and so far only vehicle in Atlantic Canada that will act as a mobile training platform for health professionals across the province. “One of the areas that we want to improve with the new provincial health authority, is a standard of practice that can exist around the province,” said Health and Wellness Minister Leo Glavine. The Mobile Simulation Unit costs $240,000 and is staffed by a small team trained to operate and drive the vehicle. Both were on display today in the parking lot of the Museum of Natural History. According to Janel Swain, clinical supervisor of the unit, there are about 20 to 25 people across the province who help in creating scenarios and clinical elements of the training. “We are in the process of enlarging our team to be able to get on the road more,” said Swain. The EHS Mobile Simulation has different kinds of simulators, such as a birthing mom, a baby or a child. A simulator is a machine that provides a real-life imitation, in this case, of a wide range of health-related scenarios. A heart attack, stroke or internal bleeding can be simulated by the implanted technology. There are only a few other EHS Mobile Simulation Education platforms across Canada. According to Glavin, all the health professionals who viewed the program gave high marks to the reality they experienced through the simulator. “We are confident that this will be part of a yearly plan for the unit to grow across the province and perhaps other features can be added in the future,” he added.